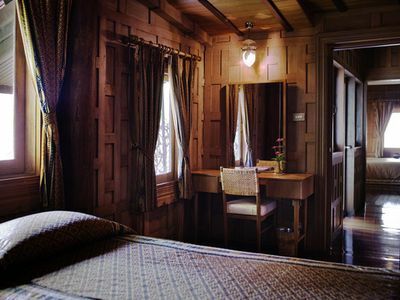 For a unique traditional Thai living experience, antique Thai Houses as one of its lodging options perfect for a family or couple getaway. 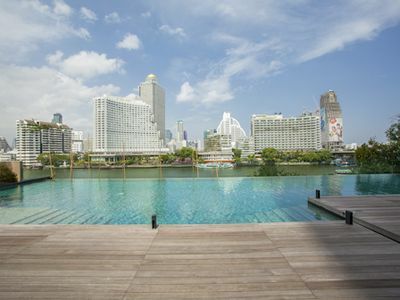 Alternatively, amidst the green friendly property stands a 4 star riverside hotel with guestrooms ideal for those who prefer the modern comfort but would still like to be surrounded by Thai culture and atmosphere. 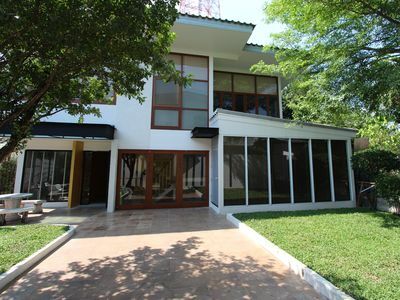 Thai house-01 at Sampran, Nakorn Pathom named Saowarod has 4 bedrooms for the comfort of up to 8 people, each one with its own en-suite bathroom and a common living room with lakeside patio. 2 of the bedrooms contain twin beds and the other 2 bedrooms have a double bed in each. 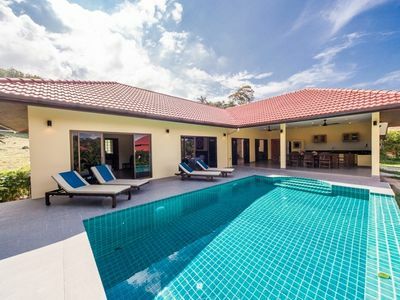 All rooms feature air-conditioning, bathtub, internet access, IDD telephone, minibar, cable television with international channels and safety deposit box. 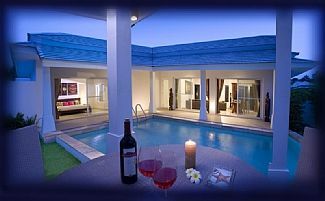 Private Villa With Pool, Only 3 Minute Walk From Beach, New Outdoor Terrace!